Water heaters are designed to last a long time. This is particularly true if you properly care for yours and having annual maintenance done on the appliance. No matter how well you take care of your water heater, however, it’s not going to last forever. The trick is being able to realize when your water heater is, in fact, on its last legs so that you can replace it before it has the chance to break down entirely. You don’t want to find out that your water heater has permanently failed on you when you’ve hopped into the shower first thing in the morning. So, we’ve shared some warning signs below for you that indicate it’s time for you to go ahead and upgrade your water heater. Naturally, if you put enough demand on any water heater, it will be overwhelmed to the point that it won’t be able to provide you with hot water until the tank refills. 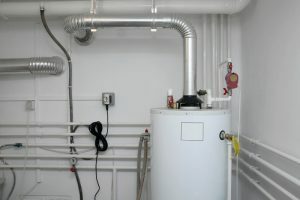 But there’s a big difference between exhausting your water heater with demand and the water heater simply not being able to provide enough hot water to meet your needs. If your system seems to be struggling more and more to provide you with moderate amounts of hot water, it may very well be due to wear and tear from years of use. The more worn down your water heater gets, the more its efficiency will drop. If this is the case, the only thing you can really do to correct it is to replace the entire system. Water heaters can develop problems every now and then, even if you take care of it as you should. However, what should raise some concern is if you’re constantly calling for water heater repairs multiple times a year. This level of frequency in breakdowns isn’t normal, and can indicate that your water heater has just about reached the end of its lifespan. Even standard wear and tear eventually progresses to the point that it causes components of the system break down in groups. You can keep repairing your system, if you want, but this is just delaying the inevitable and wasting money, too. It’s more cost-effective to upgrade to a new system once yours has reached this point. Let’s face it—the older your water heater gets, the more problems it’s going to run into. This is simply the way it goes. The average lifespan of a water heater that receives routine maintenance and careful repairs when needed is about 10-15 years. If yours is over a decade old, it can start to develop all sorts of issues that can prevent it from operating as it should or as you expect it to. The best thing you can do if you are unsure of whether or not it’s time to replace your water heater is consult with a professional. We can help you make an educated decision, and inspect to make sure any issues you’re having with your water heater aren’t threatening your safety. Call the friendly team here at Admiral Plumbing Services, LLC for exceptional service. We are happy to help you make an educated decision when shopping water heaters in Boca Raton. Be sure to ask us about our current offer of $25 off your water heater installation!